So why do people who are on a Bible Lands Tour visit Petra (click for a good Wikipedia summary)? It was never mentioned (for sure) in the Bible although it was a thriving, powerful, rich city during Old Testament times and in the time of Christ. It is famous now for having a lot of impressive stone structures carved into the rock. But back then, these folks controlled (and sold) the water supply in the area using dams, cisterns and conduits. They also controlled the main commercial routes which passed through it to Gaza in the west, to Damasus in the north, and across the desert to the Persian Gulf. That’s a good way to get rich. What a reminder that all who live in caves are not primitive! It also reminds me that anything can fall from prominence. 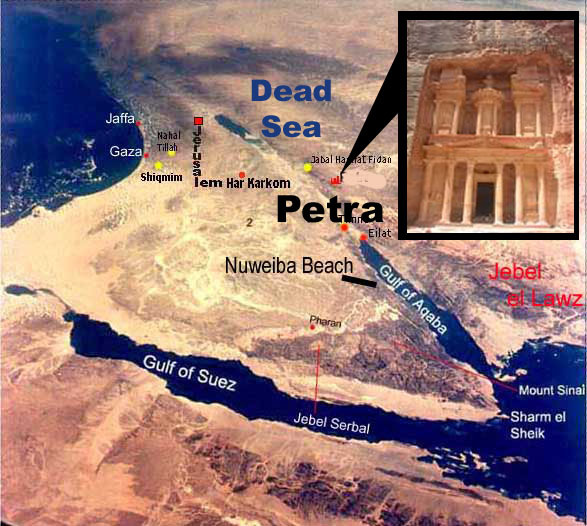 Petra’s decline came rapidly under Roman rule, in large part due to the revision of sea-based trade routes. 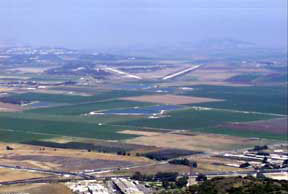 But in A.D. 363 an earthquake destroyed buildings and crippled the vital water management system. So much for geographical prominence! Thanks to Indiana Jones and the Last Crusade (1989), the location will live on in film prominence. 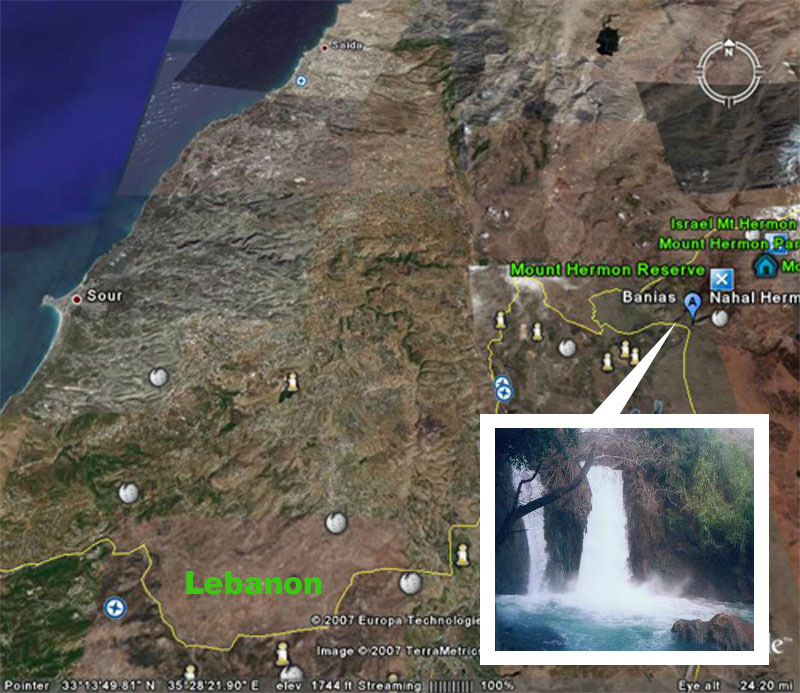 The is the largest waterfall in all of Israel and truly a beautiful area. It was here, in the area that was called Caesarea Philipi, that Jesus asked his disciples, “Who to people say the Son on Man is?” Simon Peter answered correctly, “You are the Christ, the Son of the living God” (Matthew 16:13-20). So this was one of the places where Jesus was pleased with Peter. I like to think that Peter remembers that moment even more than the beautiful waterfalls. 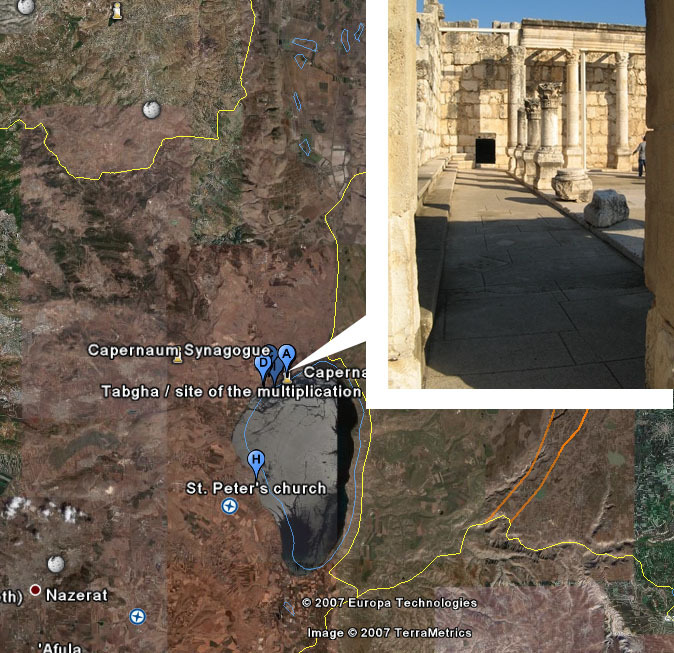 Capernaum lays along the great trade route from Damascus to the Mediteranen coast and Egypt. The Romans installed toll booth here and it was this toll house that Jesus called Matthew (Levi). 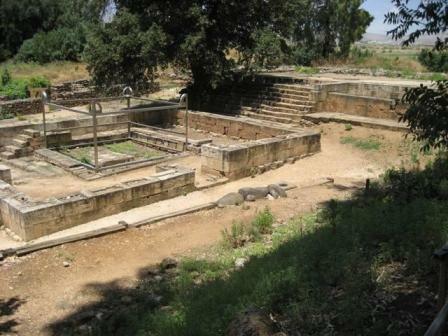 It was also here that Jesus paid the tribute money with the coin Peter took from the fish’s mouth (Matt 17:24-27). 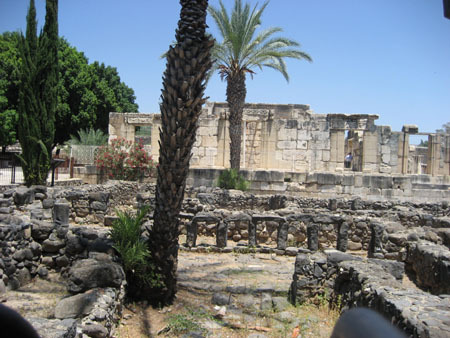 The foundation layer under the 2nd century A.D. visible part shown in the picture may have been built by the centurion (Luke 7:1-5) in which Jesus preached. A new study published in the Journal of the American Medical Association refines our thinking about how people grieve the loss of a loved one. Since Elisabeth Kubler-Ross published her book On Death and Dying in 1969, we have accepted her model of five-stages of grieving: (1) Denial – “It can’t be happening,” (2) Anger – “How dare you do this to me? !” (3) Bargaining – “Just let me live to see my son graduate,” (4) Depression – “I’m so sad, why bother with anything?” and (5) Acceptance – “I know my husband will be in a better place.” This new study looked at 233 adults in Connecticut over a two-year period of time following the loss of a loved one. What the Study Shows: Disbelief reaches a peak one moth after the loss, then declines. Yearning steadily increases and reaches its high point at four months before declining. Anger rises to a peak at five months, and depression peaks at six months. Acceptance is strongly present even from the first but becomes increasingly dominant as time passes. When I look at the graph (published by The Atlantic Monthly — June 2007) I notice that even after a year the individual experiences a mixture of all the feelings. The stages and phases do not follow in a neat sequence in which the next stage starts when the previous one ends. The whole process normally takes a year or two to resolve. At the same time, if someone is still wrestling with anger and depression a year after the loss with very little growth in acceptance, they probably need some help in getting unstuck. But at six months, these struggles would be quite normal. I like the added perspective this study provides. What the Study Does Not Show: (1) Since 84% of the individuals studied lost their spouse due to natural causes, it does not indicate what the reactions would be following the loss of a child. (2) Nor does it predict the reactions of a young person, say an adolescent, whose parent dies. (3) Since 97% of the individuals were White, it does not indicate the effects of ethnic differences. (4) Since all the participants studied lost a loved one to death, the study does not necessarily address reactions to other kinds of losses, like divorce or bankruptcy. Peter suggests a unique sequence of stepping stones for a Christian to follow in moving from faith to a manifest love (2 Peter 1:5-7). I’ve been wrestling with this passage for the past several weeks and would like to show you where I am now and to invite you to join me with your suggestions of how to answer my questions. What is the logic in the sequence from one trait to the next? To what extent might this sequence a picture of Peter’s own growth from faith (“upon this rock I will build My church” — Matthew 16:18) to love (“Do you love Me? . . .Tend My lambs” — John 21:15)? Is there any significance that the earlier traits picture the character of an individual, while the later ones picture the individual’s attitudes and actions toward others? If we are to “add” one characteristic to another, in what sense is each limited without the added one? This is where I am with it all today. Everyone has faith in something, even a misguided heretic. But the faith of God’s chosen people is a faith that manifests itself in virtue. But virtue to what end? Some virtuous behaviors can actually be manipulative for the sake of personal gain. Some can be superficial social compliance simply to make the person look good and to be admired. Peter wants the kind of virtue that furthers our knowledge of God in our relationship with Him. I think Peter used “knowing” in the Hebrew way of intimate familiarity with a relational partner, not intellectual knowledge. But even this knowledge can puff up our sense of personal power and must be monitored by self control. As Peter learned more and more about Christ, he had to exercise self control frequently to reign in his impetuous exuberance for his Lord. But this self control takes energy and, in time, can be draining. So we must add to it steadfast endurance. While Peter’s earlier life was characterized by extremes of spurts and sputters, here in his later life, he emphasizes a more steady process. But this focus on self management can result in a dangerous self-centeredness that must be countered by an attitude of godliness. This attitude is what keeps us from getting too enamored with ourselves. But even godliness can result in our becoming so heavenly minded that we’re no earthly good, so we need to add brotherly kindness to get practical with our heart. I like the motto of The Salvation Army, “Hearts toward God, Hands toward People.” But even kindness can become routine and comfortable, so it needs to be augmented with the self sacrificial Christ-like love that is compelled to serve the well being of others. This “agape” is what makes a man lay down his life for the salvation of his enemies. Now I don’t think this sequence is linear, as though it represents rungs on a ladder. Once we have experienced this kind of love coming from this sequence of life experiences, our faith is strengthened. So I think we go back to our core of faith and start all over again. I picture an old coffee pot that percolates the coffee up the stem and then as the coffee circulates through the coffee grounds, it becomes stronger and recycles through the stem, become stronger and stronger over time. 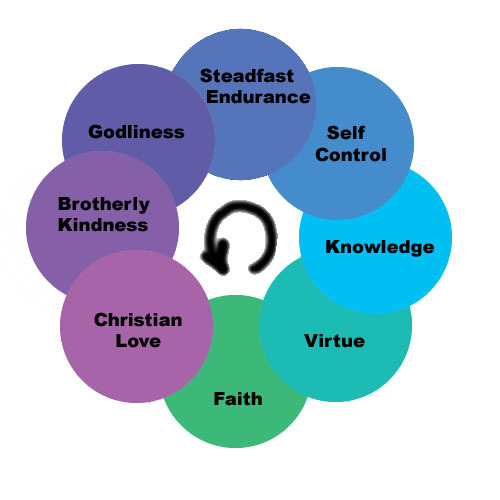 This is like the process of the Christian life, becoming strong as we respond to life’s experiences with these attitudes that keep us on track. May God grant me the wisdom to continue this percolation through my life in such a way that He is glorified by seeing more and more of His character manifest through the likes of me. You are currently browsing the J. Lee Jagers, PhD, ThM, LPC blog archives for May, 2007.